Caper Clowns-The Buca Bus. It seems that my first reviews of a new year are of albums I missed from the previous one, and 2017 is no exception. 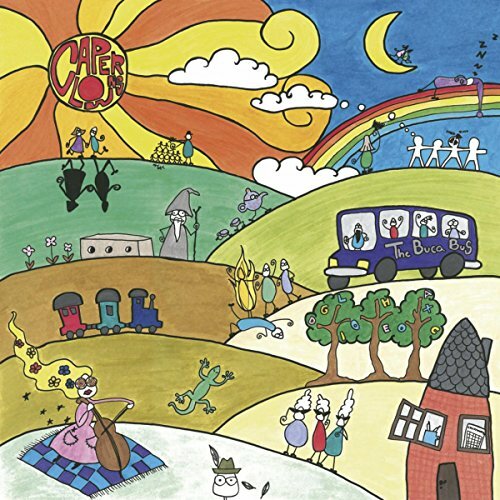 Had I stumbled on this pop delight from Denmark sooner, it would have made my top 100. As it is, you don't its placement on a list to give it a listen, as these Danes channel pop sources like McCartney and ELO. Jingly (and jangly) opener "Pockets" will put a smile on your face, "A Tale of Romance and Magnetic Trains" brings vintage-era Squeeze to mind, and "The Significance of Tea Cups" is sheer pop brilliance and probably my favorite song of the moment. It's finds like these that keep me going with this site after nearly 11 years. Michael Roberts-Suspended in This Space. This smooth 70s AM-inspired record did catch my attention before I made the year-end list, where it placed in the top half, but I wanted to make sure I gave it the attention it deserves. Welshman Roberts here recalls 70s songsmiths like Gilbert O'Sullivan and Gerry Rafferty as well as obvious touchstones such as McCartney, with the leadoff track "What You Say" yet another example of something that would have been a big hit 40 years ago, and "When You Shine" defies you not to sing along with it. Elsewhere, tracks like "See the Old Man" and "I Think You're Very Ooo" would win you over on sheer charm alone even if they weren't as melodic as they are. And "My Angel" with its slow but inexorable buildup, falsetto chorus vocals, and muted horns literally screams 1972 in its retro-pop goodness. Listen to and enjoy the YouTube playlist below. Tony Low-Rendezvousing. 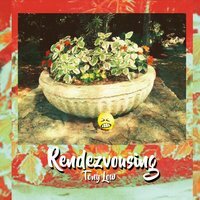 North Carolina's Tony Low returned again late in 2016 with Rendezvousing, another fine mashup of Mitch Easter-southern-styled power pop and Byrds-ian 60s jangle that's familiar to those who enjoyed his previous releases. This time around the standout tracks are "The Awful Dream" (which will turn your pants into bell bottoms while you listen), "Pictures of Your Son" (which has a Ray Davies slice-of-life feel), and "You" (which seriously brings the jangle). In fact, one could say Rendezvousing is an all-time Low, even if that doesn't sound like a compliment. David Bash's Best of 2016. Here are my lists of favorite albums of 2016. As is my usual custom, I've broken this down into several categories, as I'm just not comfortable ranking unlike entities on one list. Those marked with an * are vinyl-only releases. Those marked with an ** are cassette-only releases. Disclaimer alert: I heard A LOT of fine albums this year, perhaps even more than 2015, which surprised me…but even paring it down to 125 was a daunting task. If your album doesn’t appear on this list, please trust me when I say that it in no way means I didn’t think it was good, so please don’t be hurt (assuming you even care what I think) if your album isn’t listed here (or, for that matter, if it received a lower ranking than you were hoping for/expecting). There were at least 50 more albums I could have included and still felt as if I enjoyed listening to everything on the list, but I wanted to keep it at no more than 125 so as not to overwhelm; with all the other lists I have here, there’s enough sensory overload happening! Ok, without further ado, here you go! 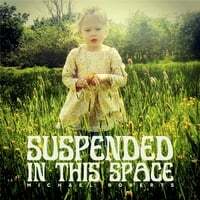 Disclaimer alert: I’m not a big fan of EPs, as they always seem to leave me wanting more. For this reason, I never seek them out the way I do full-length albums, and 2016 was no exception. A few of them came my way, regardless, and I will list those I particularly enjoyed. Look Park-Look Park (Yep Roc). It’s not that I don’t like this album, but I expect more than a late ‘70s James Taylor sound-a-like from Chris Collingwood. With the above in mind, while quality is the major factor in determining the rankings, other factors such as number and type of bonus tracks, liner notes, sound quality, etc…do come into play. So, if you see a classic album ranking lower than one with less of a rep (or one you know I like a bit less), it’s because of the other factors. I tried something new this year: separating the various artist comps into “Best Individual” and “Best Series”, as this year it was just too difficult to rank volumes in many of the series. If this seems a bit vague, it will become clear when you see the lists.